Last week, one man was arrested after assaulting a Barry County Sheriff’s deputy in Eagle Rock. 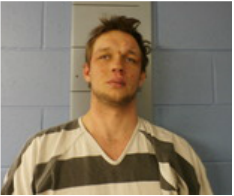 The suspect, Jamie McCarty, 27, was taken into custody on February 15 and is still being held in the Barry County Jail. Barry County Deputy Michael Moore was taking the suspect into custody when McCarty began kicking him, according to the affidavit of probable cause. Once in custody, he kicked Moore twice in the chest. At the jail, McCarty punched Moore and also tried to spit in his face. McCarty has a criminal history. McCarty is currently being held in the Barry County Jail in lieu of $15,000 bond for class C felony assault of a law enforcement officer.